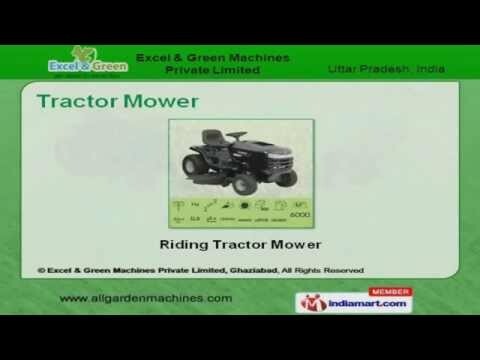 Welcome to Excel and Green Machines Private Limited, Manufacturer and Exporter of Agriculture Equipment, Gardening Tools and Horticulture Equipment. The company was established in the year 2001. High quality products and Ethical business practices help us to achieve a present repute in the market. On time delivery, Competitive prices and Team of dedicated professionals are the plus points of our organization. We offer a vast range of Lawn Mowers. We present a unique range of Tractor Mower. Our Hedge Trimmer and Brush Cutters are well known for their outstanding performance. We also provide Gardening Accessories that are best in the industry amongst others. Our Green Mower and Diesel Generators are well known for their durability and reliability. Along with that we offer Mower Blades and Pharmaceutical that are cost effective.